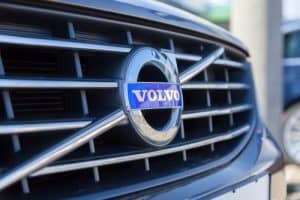 Volvo has announced the launch of a new service aimed at removing the hassle for the company’s fleet customers. The launch of a new Live Chat instant messaging service has now taken place. Live Chat will be available to the company’s customers via the Volvo Business Centre and will be online Monday to Friday, between the hours of 9:00am to 5:30pm. Mr Beattie added that the service means its customers can speak directly to individuals highly trained in meeting the needs of fleet operators and aims to ensure an “unrivalled customer experience”. It ensures customers can more easily request specific product information or book a demonstration of the latest Volvo offerings. Customers will also be able to book meetings with Volvo Regional Business Sales Managers via the service. “The launch of Live Chat gives Volvo customers yet another way to communicate with us,” he concluded. The move follows the launch of the manufacturer’s Virtual Sales Team, which has been created specifically to fulfill the requirements of Volvo’s fleet customers in the SME space.